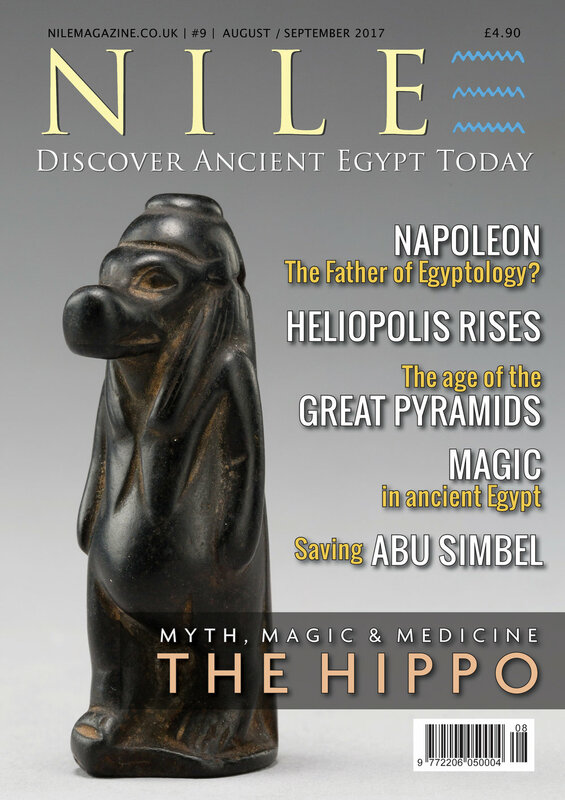 A new feature of Nile Magazine is "On This Day", exploring important Egyptological happenings from August and September through history. It's just over 99 years to the day (September 4, 1917) that "Cleopatra's Needle" on the Thames Embankment was "under attack." The scars of World War One are still visible on the base of the sphinx that flanks the obelisk. A bomb from a German air raid struck the nearby pavement and blasted the sphinx and the base of the obelisk with shrapnel. The obelisk wasn't damaged, but sadly, the driver of a passing tram and two passengers were killed. Although the name “Cleopatra’s Needle” adds a touch of glamour to the obelisk, it is actually a misnomer since there is no connection with the famous queen at all. Hieroglyphs on the two bronze sphinxes reveal the true owner of the obelisk: Thutmose III, who ruled some 1,400 years before Cleopatra. The London Needle, gifted to England by Egypt’s then ruler Muhammad Ali, was unveiled with great fanfare on the Victoria Embankment in 1878. It could be argued that the Needle should instead be called “Nelson’s Column” as it was in honour of Lord Nelson’s 1798 victory over the French at the Battle of the Nile that the obelisk was offered to King George IV.